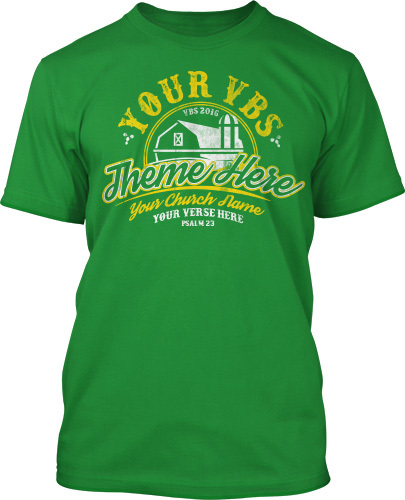 Bogard Press was the first to announce their 2019 VBS Theme… “Farm Fresh Faith – God’s Faithfulness to Joseph.” With Psalm 36:5 as the key verse, kids will learn that God (like a good farmer) cares for His own with faithfulness that reaches the clouds – just like He did for Joseph! 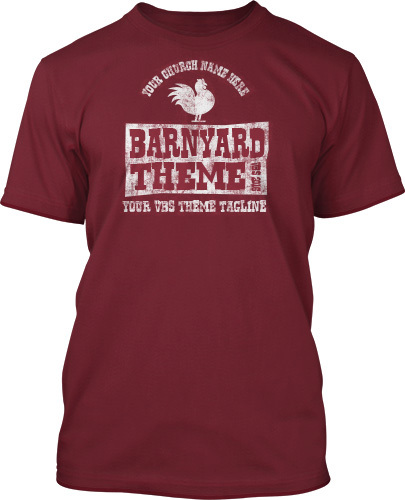 We can’t wait for you to see all the barnyard fun and Gospel truth of this brand new VBS theme. Every year, we dig into all the VBS curriculum, programs, and themes to give you everything you need to know to choose the perfect VBS for your church. 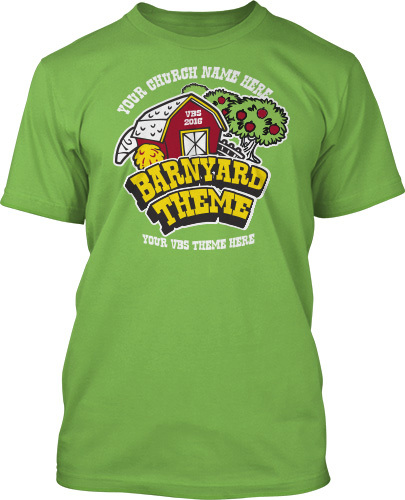 Pre-Order Farm Fresh Faith VBS by Bogard Press VBS HERE. 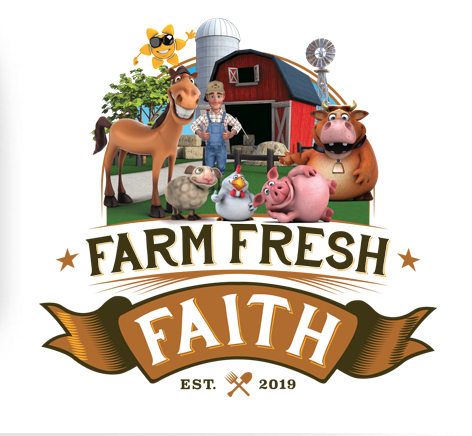 BIBLE POINT: On Faithful Farm, the barnyard animals are out to help declare God’s faithfulness through the story of Joseph. Each day, kids will see how Joseph’s story puts God’s faithfulness on display and how God just as faithful today as he was in Bible times. On Day 1, kids meet “Faithful” the horse and hear about Joseph’s dreams to learn that God keeps His promises. Day 2 brings “Blessed” the chicken and the story of Joseph’s obedience to illustrate how God gives strength to obey. When Day 3 rolls around we meet a pig named “Patience” and catch Joseph’s story of longsuffering in times of struggle to see that God’s plans are in His time. “Hopeful” the sheep points to Joseph’s confidence in God and reminds kids that God will never forget us. At last, on Day 5, your kids will meet “Promise” the cow and hear how God provided for Joseph through it all and will be faithful to care for us as well. FRIENDLY HOSTS: Farmer John, the owner of Faithful Farm, greets some kids who arrive on the farm on Day 1. 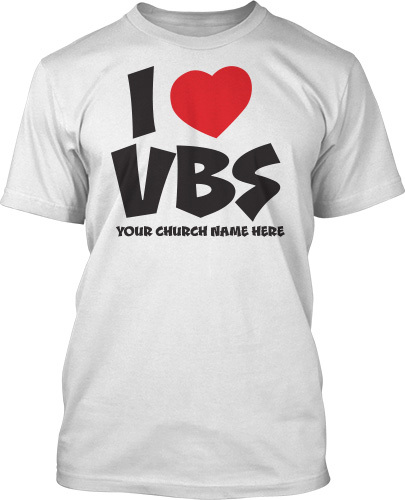 Aside from the fun storyline, John has a winsome manner that is sure to keep your VBS kids engaged. He tells them that, although his father and grandfather worked on this very farm, the name “Faithful Farm” was established in 2019 to remember how God carried them through hard times. He was faithful to them! 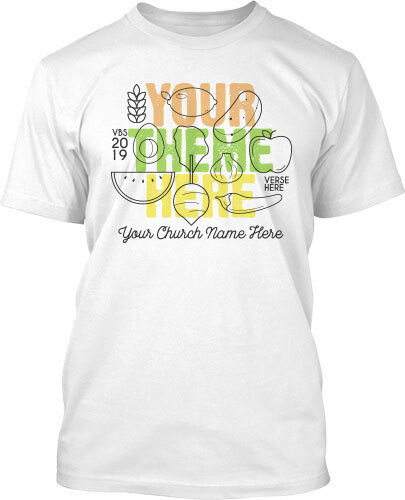 Of course, Farmer John and his son will help your farm boys and girls milk the cows and feed the horses, but will also show them the faithfulness of God in the life of Joseph. DOWN TO EARTH MUSIC: The music on Faithful Farm is as lovable as Hopeful the sheep. Start a campfire and get ready to sing some sweet, acoustic and fun worship songs with your young farm hands. Playful piano is accompanied fun percussion in God is Faithful, theme song that will remind the kids that God is there when we’re weak, when we stray and when life is hard. God Gives Me Strength, complements Day 2’s lesson about Joseph’s obedience. 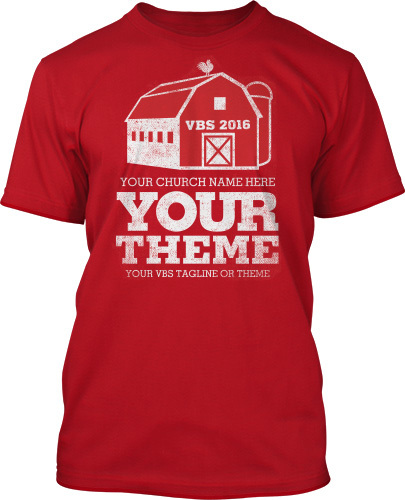 God set Joseph free, and we have the same God planning our lives; your VBS kids will be humming You Have a Plan for Me all over the farm. Sweet acoustic strums reminds that it’s never too late to obey the Lord in Oh Lord, Remember Me. Worship closes out with the Gospel-focused tune, You Supply My Need. Your kids will be growing like Farmer John’s crops singing these songs! EXTRAS: It’s time for the harvest. Check out these gifts and extras to send your farmers-in-training home with after a week at Faithful Farm. Faithful Farm Seed: Your VBS kids can practice their new skills at home with flower seeds to plant. They can talk about their week at VBS with their parents, and this serves as a proof that they can use what they learned at Farm Fresh Faith in their everyday lives. There’s no end to the growth! 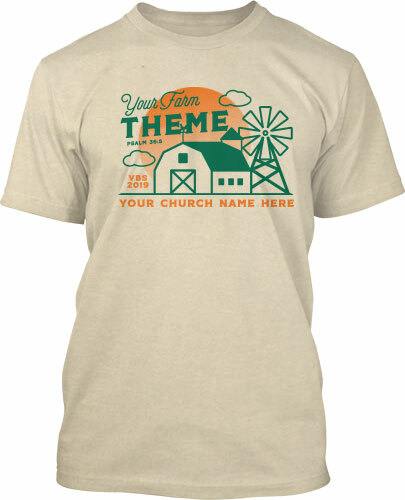 New Testament: Take your farmers straight to the source of Faithful Farm’s success: the Bible. 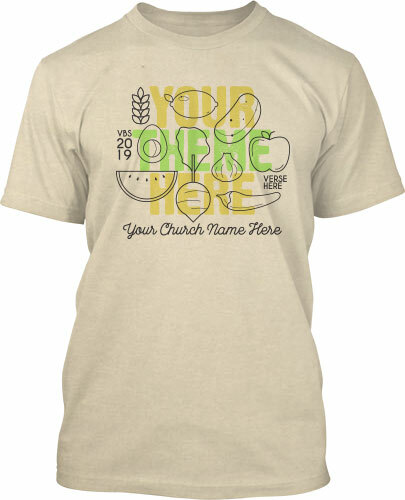 Give to your older kids so they can see the God who was faithful to Joseph and to them. Farm Photo Frames: Keep the farm memories fresh in your VBS kids’ minds with awesome frames they can take home, keep or give to their parents. Put in a photo of their group, them doing their favorite game or craft, or the verse of the week as a reminder of what they learned about God’s faithfulness. 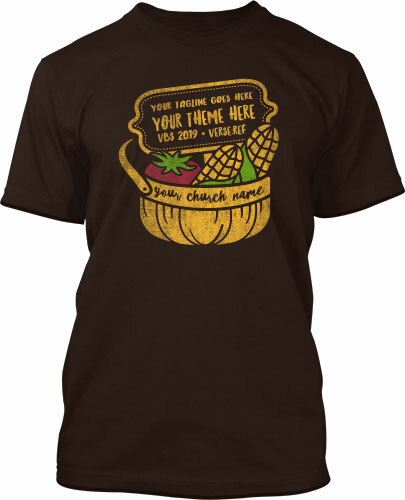 Preparing for harvest? 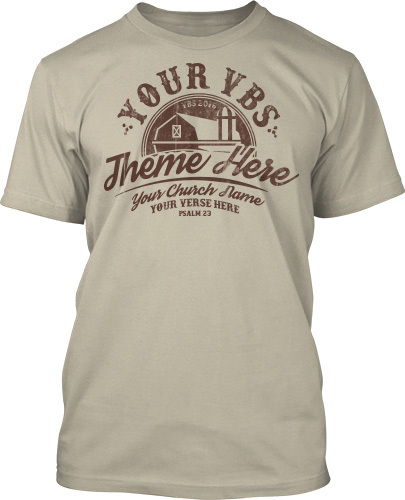 Choose a design you like and get a free digital mockup of your VBS t-shirts today to get your team excited!